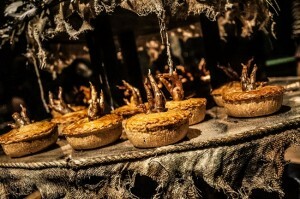 The award-winning team behind the Olivier Award-nominated smash hit Alice’s Adventures Underground and The Game’s Afoot, in association with gastronomic wunderkinds Bompas & Parr, are delighted to release production and food photography for Dinner at the Twits, a gloriously gruesome interactive theatrical dining experience running until 30 October at The Vaults, London. 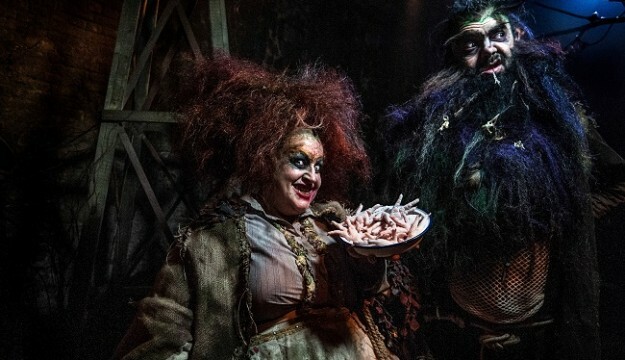 Dinner at the Twits is produced by Les Enfants Terribles and ebp, with delicious gastronomy from Bompas & Parr, in association with Creature of London, directed by Emma Earle, adapted by Oliver Lansley and Anthony Spargo, and designed by Samuel Wyer. Minimum age 16+. Under 18s must be accompanied by an adult. Standard tickets: Over 90 minutes you will be given a prickly cocktail aperitif, eat gruesome hors d’oeuvres, hunt for concealed canapes, brave a baroque bird pie banquet and potentially perilous pudding in the windowless dining room, all served with ½ bottle of wine or non-alcoholic drinks. Premium ticket: Premium ticket holders will also receive an additional fizz cocktail on arrival prepared by the mixologists at Bompas & Parr, a bar of Mr Twit’s personally smoked chocolate, a cup of Mrs Twit’s home brew in the Mr and Mrs Twit’s Upside Down Cocktail Cavern and a copy of the limited edition Dinner at the Twits programme, which includes exclusive recipes from Bompas & Parr. 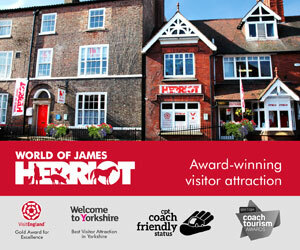 Groups of 10 or more benefit from a reduced booking fee of £1 per ticket. 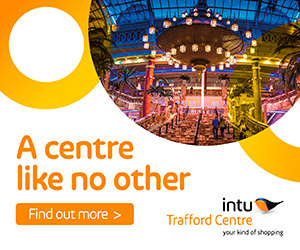 Groups of up to 9 people are able to book their tickets online. 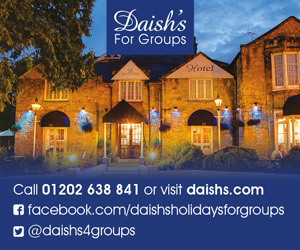 Larger groups must be booked by calling 0844 248 1215. Exclusivity of the show at Premium rate can be booked for 80 people. Tickets must be booked on 0844 248 1215. Tickets include banquet, wine or non-alcoholic drinks with dinner, two cocktails, programme and chocolates.